Product reviews provide a lot of value for both buyers and sellers on the Amazon marketplace. 85% of consumers trust online reviews as much as personal recommendations, and 61% read online reviews prior to making a purchasing decision. For sellers, product reviews can provide key insight into potential product lifecycle, ideas for improving upon the existing model, and even ideas for creating bundles that customers want. Monitoring competitor product reviews can help sellers stay aware of product trends. It’s also a great way to get competitive intelligence regarding feature requests, potential product pitfalls, and differentiators that make a product stand out from other items in the niche. Although review manipulation has been making the news, it’s clear that product reviews continue to be an important aspect of the Amazon experience. 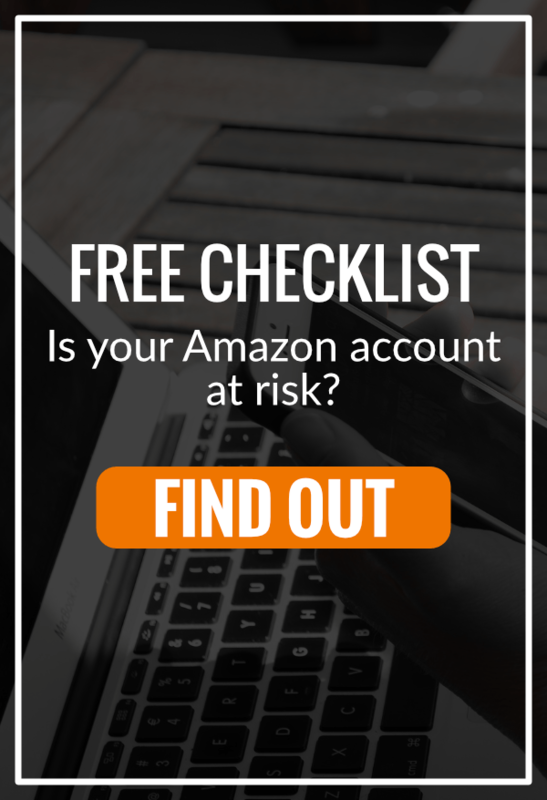 Black hat tactics can be tempting and may even work in the short term, but they hurt the entire Amazon seller community…and individuals putting them to use are getting suspended left and right. There is a lot of confusion right now about what is and isn’t okay in a product review request, so let’s dig in to the top three mistakes we see sellers making when requesting product reviews. In order to comply with Amazon’s review guidelines, you should never ask a buyer to leave a positive review, only ask buyers who have had a positive experience to leave you a review, or offer to compensate a buyer for leaving a review. (This means that you cannot offer money, free products, discounts, reimbursements, refunds, gift cards, or any future benefits in exchange for a review.) Any attempts to influence a review in any way could result in serious consequences for your Amazon seller account. As a seller, you should also familiarize yourself with Amazon’s Community Guidelines. Did you know that your relatives, good friends, and business associates (as well as yourself) should never create, modify, or post content on Amazon about your own or a competitor’s products or services? A well-meaning relative could get your account suspended. It’s important to understand the Community Guidelines and make sure that the people in your life are aware of them. When communicating with buyers on Amazon, be sure that you are following these guidelines. If you receive a product review that violates the guidelines by including profanity, hate speech, personal information, or other prohibited content, you can quickly flag it to Amazon by clicking the “Report abuse” link near the review and sharing why you feel that it violates the guidelines. Another review guideline to be aware of? Don’t ask a buyer to change or remove a review at any point, even if you have worked with them to resolve an issue with your product or service. Sometimes buyers will choose to update a review on their own because they are impressed by how a company responds; in other cases, they won’t. It’s not up to you to influence this decision. All you can do as a seller is respond quickly and work to resolve a negative experience. Providing great customer service speaks volumes for your company, and commenting on a negative review with a sincere offer to make things right might be all it takes to change the mind of a buyer who is on the fence about ordering your product, even if the initial buyer never updates their review. As a seller, you may comment on product reviews as long as your comment complies with the Community Guidelines. Since Amazon does not send notifications when product get new reviews, you’ll need to monitor new reviews manually or set up a third-party tool (such as FeedbackFive) to alert you to negative reviews so you can take care of them right away if you own the ASIN. If you’re selling an ASIN that is sold by other merchants as well, it’s still helpful to monitor product reviews for any issues or trends that you should be aware of as a seller. In October 2016, Amazon banned incentivized reviews. Review manipulation has been getting a lot of press lately. Wouldn’t it be better to just avoid asking for reviews at all? Well, no. If you’re a private-label seller with a recently launched product, reviews can make or break how your listing performs. Asking buyers what they think of your product is good customer service, as it gives you an opportunity to get unbiased insight from the folks who use your item. Product reviews can help alert you to potential defects or product quality issues, give you ideas for product improvement, and even signal that a product is reaching the end of its life cycle. This kind of data is invaluable, and getting it is easy—simply ask! Amazon allows you to request product reviews, but as mentioned above, you cannot ask for a positive review, offer to compensate a reviewer, or attempt to influence ratings in any way. When writing a product review request message, be clear and concise. Let buyers know that you genuinely want to know what they think of the product and if they have any suggestions for improvements. Steer away from language like, “We hope you loved our product! Would you take a second to leave us a review on Amazon?” Be sure to customize your message to mention the specific product the buyer ordered from you. Ask a trusted business associate or friend to proofread your email and offer suggestions for improvement. Be on the lookout for any typos or phrases that might cause confusion for buyers. Make sure your subject line is eye-catching or very straightforward, like “What do you think of [Product Name]?” Consider the best time of the day and week to reach buyers, and think about your product’s use case. If it’s a consumable item that will likely be used immediately, ask for the review soon after it is delivered. If it’s something like a vacuum cleaner or umbrella, buyers will likely be more interested in leaving a review after having the chance to try it out for a couple of weeks. A few honest product reviews can help your product rank higher in search results and increase conversions. Buyers often look to product reviews to learn what other people thought of a product. But, you won’t get many reviews if you never ask for them. Just be sure to follow Amazon’s guidelines regarding buyer-seller communication and NEVER attempt to influence a product review in any way.